Price Two options: 1. Single insemination dose $985 GST incl. OR 2. Season price $2360 GST incl. for 3 inseminations for one pregnancy only. Refund of $1620 GST incl if no pregnancy at 80 days. 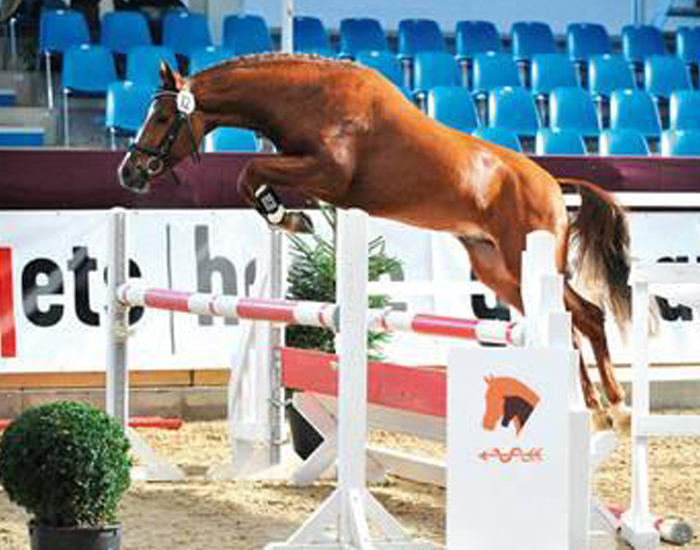 Lord Fauntleroy is a stallion with an impressive appearance, solid frame, elevation and muscular expression. 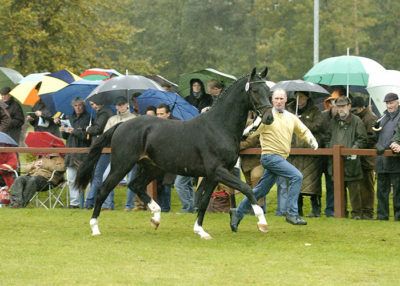 At his 2011 licensing in Verden, Germany he was given the title of Premium stallion and was sold for top-dollar at the auction. By age four, Lord Fauntleroy was victorious in 14 show jumping competitions and won the Championship in Verden. 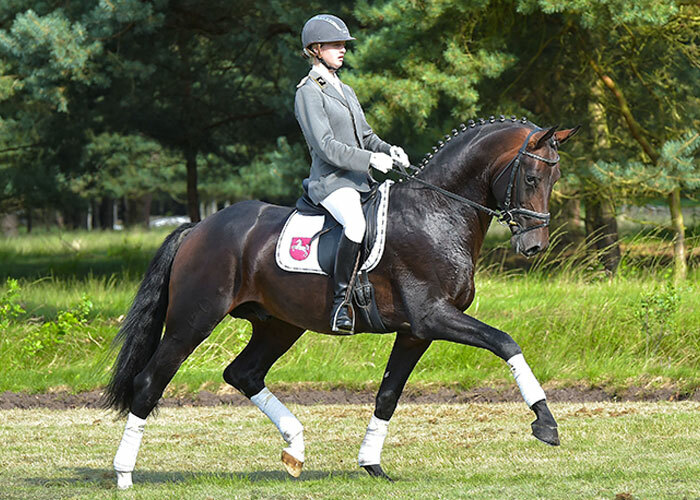 At the age of five he won the Hanoverian Show Jumping Championship with a score of 9.5, as well as, the small final of the Bundeschampion at Warendorf with a score of 9.0. 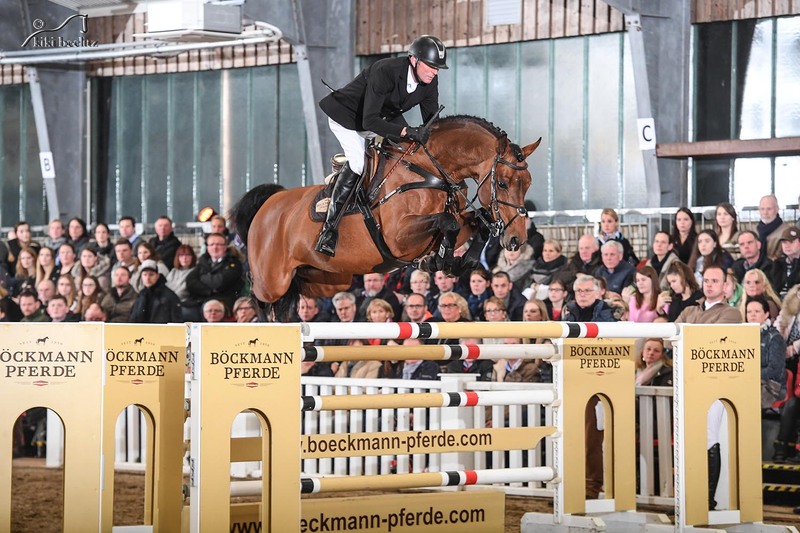 In 2016, under saddle of Gilbert Boeckmann, Lord Fauntleroy placed several times in the heavy class and all who have ridden him speak highly of his rideability. He passes these desired traits on to his offspring and provides them with a beautiful type and outstanding gait.